INTERNATIONAL STANDARDS: Sewage entering our waterways and oceans has become a problem faced in many areas. Legislation forbidding the dumping of marine waste has been in place in areas such as the Great Lakes (USA) for many years. With 124 countries now party to MARPOL 73/78 Annex IV for ships, smaller vessels are now being targeted. Legislation in many countries now dictates the use of holding tanks near shore, or in defined areas. 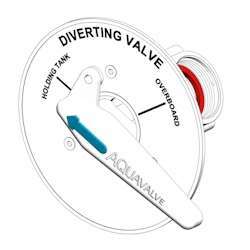 By installing a diverting valve, the user has the ability to hold sewage when required by law, and can pump directly overboard when allowed.